pharmaphorum’s Paul Tunnah spoke with Otsuka Pharmaceutical’s North America Pharmaceutical Business president and CEO Kabir Nath about the company’s innovative digital collaboration with Proteus and its novel ‘digital pill’. Trying to get patients to take their medicines as prescribed is a long-standing and ongoing problem for doctors, healthcare systems and the pharma industry, with digital health offering novel tools that could help tackle the issue. Two companies that have been blazing a trail in this field are Otsuka Pharmaceutical Company and Proteus Digital Health, with the co-developed Abilify MyCite (aripiprazole tablets with sensor) , a ‘digital pill’ that can allow doctors to track whether the drug has been taken, which made history in 2017 when it was approved by the FDA. A drug-device combination, Abilify MyCite was approved by the US regulator for schizophrenia, acute treatment of manic and mixed episodes associated with bipolar I disorder, and as an add-on treatment for depression in adults. It works by sending a message from an ingestible sensor embedded in the pill to a wearable patch, which transmits information to a smartphone app so patients can track ingestion of the drug. Patients can also permit caregivers and physicians to access the information through an online portal. The technology has been created to solve a particular problem, tracking whether mental health patients take the medicines that play a crucial role in balancing their mood. But Otsuka’s Kabir Nath said this kind of technology could also be used in other fields to help overcome different therapeutic challenges. “We can see ourselves getting to a point where, in the next five to 10 years, there are a range of therapeutic areas, including infectious disease, that will build on some of the work Proteus is doing with oncolytics,” said Nath. Whatever way this technology is developed in the future, at its heart will be its potential to influence people’s habits and encourage them to make healthier decisions, according to Nath, who said this is being led, in part, by changes in the way these issues are thought about. “People are starting to make that connection to habit formation, behavioural health and how it can help with serious mental illnesses,” he said. Nevertheless, there are still challenges with how such ‘ingestibles’ are perceived by health systems that are used to, including financing, more conventional types of medicines. Nath said that there is a “continuous battle with payers” to convince them of the benefits of digital medicines, even after receiving regulatory backing for Abilify MyCite. A common misapprehension is that digital pills are, by definition, cheaper because there is an app involved. Nath says that actually the converse is true: the micro-engineering required to create these products is incredibly complicated and is the product of years of scientific rigour just like any traditional medicine. In pursuing its digital pill, he said Otsuka has gone where pharma rivals have feared to tread, putting it on a potentially rewarding but lonely path. One option is to ‘piggyback’ these innovative medicines by getting payers and decision makers to discuss conventional medicines first. Another is to have joined-up conversations with players across the entire health system. This kind of market access approach has been successful with other novel medicines and therapies – getting CAR-T therapies to market in the UK has required a concerted effort from manufacturers, the NHS, and NICE, for example. Introducing new care paradigms is always difficult, and this multi-agency approach is the most likely to produce a solution. Although the US is a key market for Otsuka’s novel medicine projects, the company is also developing products aimed at the European market. These are based around novel medicine capsule technology, with one study ongoing in the UK at the moment. But for now, Otsuka’s goal is to provide digital alternatives to the common generics that make up around 80% of generic prescribing, although Nath reiterated that in all these cases getting the right data in place will be crucial to success in the market. But he does concede that in the US it’s easier to convince smaller insurers, rather than larger, more bureaucratic organisations, to cover a drug. With the situation as it is, he’s hopeful that this more targeted approach will bear fruit until more payers are on board. “It’s an easier conversation,” Nath concluded. 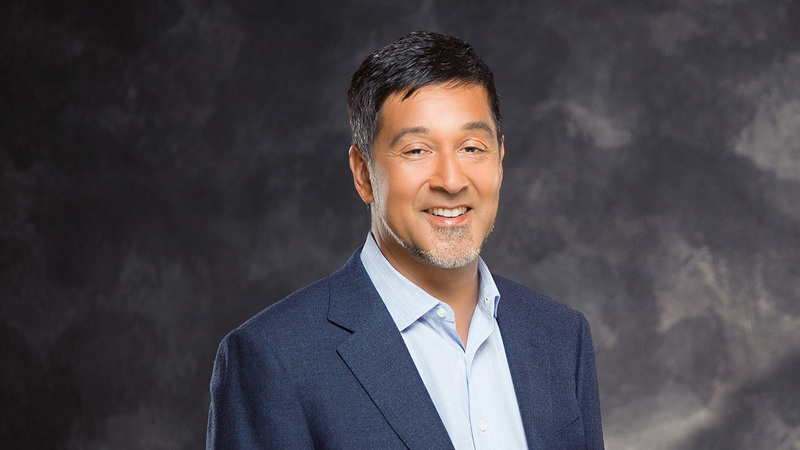 Kabir is a senior commercial leader with more than 25 years of broad international biopharma and devices experience. Kabir joined Otsuka to head the North American pharmaceutical business in March 2016, with direct responsibility for Otsuka America Pharmaceuticals, Avanir and Otsuka Canada. Before joining Otsuka, Kabir spent 13 years in leadership roles at Bristol Myers Squibb.